This fact sheet is intended to give Navigators and Enrollment Specialists answers to the questions that people with disabilities may have about possible Medicaid Buy-In as a coverage option when they are looking into purchasing private insurance in the Marketplace. The Buy-In program is an optional Medicaid coverage group for working individuals with disabilities. Q1. What is a Medicaid Buy-In program? A. Many people with disabilities are interested in working. Health insurance coverage can have an important relationship to employment for people with disabilities. For example, persons with disabilities on Medicaid may be concerned that they will lose their Medicaid coverage if they enter or return to the workforce. Commercial or employer-based health insurance might not provide coverage for services and supports that enable people with disabilities to work and live independently such as personal assistance services. The purpose of the Medicaid Buy-In program is to allow persons with disabilities to purchase Medicaid coverage that helps enable them to work. The Medicaid Buy-In program offers health care coverage to people with disabilities who are working, and whose earnings and resources might otherwise make them ineligible for Medicaid. The Medicaid Buy-In program is an optional Medicaid program that states may choose to provide. Most states, but not all, have a program (as of April 2014, states without a Medicaid Buy-In are FL, TN, HI, AL and DC). States have some latitude in the design of their Medicaid Buy-In program so eligibility criteria for the program vary by state, but eligibility determination considers factors such as employment, disability, income and resources. Q2. What services and benefits are covered in a Medicaid Buy-In program? A. The Medicaid Buy-In program provides “traditional” Medicaid (regular Medicaid state plan benefits) which generally includes doctor’s visits, prescription medications, and hospitalization. In many states, individuals who qualify may be able to access additional home and community-based services. Medicaid co-payments may be required for some services covered under traditional Medicaid. Q3. How is disability determined for the Medicaid Buy-In program? A. Disability determination for the Medicaid Buy-In program uses the same medical definition for having a disability or blindness that the Social Security Administration (SSA) uses for its disability benefits programs (the Social Security Disability Insurance and Supplemental Security Income programs). This means that you will need to have a physical or mental impairment that causes significant functional limitations and that has or is expected to last for at least 12 consecutive months, or result in death. However, because the Medicaid Buy-In program is intended to provide health coverage to working individuals with disabilities, disability determination for this Medicaid program does not consider your employment. In other words, you can have a disability, work and have earnings, and participate in this health coverage program. While disability determination for the Medicaid Buy-In program uses SSA’s medical criteria, you do not need to receive federal disability benefits to participate in a Medicaid Buy-In program. Though if you do receive federal disability benefits, you will already have a disability determination through SSA. And keep in mind that you can receive Medicare through the Social Security Disability Insurance program and still participate in a Medicaid Buy-In program. If you do not have a disability determination through SSA, but would like to apply for your state’s Medicaid Buy-In program, you may be able to receive a disability determination through your state’s Medicaid agency. This disability determination would be done for the purpose of Medicaid eligibility. Additionally, you may be able to enroll in other health coverage while your disability determination is being conducted. For example, if you qualify for Medicaid based on your income status, you can enroll in coverage on that basis while waiting for a disability determination to be completed. Or, if you qualify, you may be able to receive subsidized coverage through the Health Insurance Marketplace while your disability-related Medicaid eligibility is being determined. Q4. Can I have other health insurance such as Medicare or employer-based coverage and enroll in a Medicaid Buy-In program? A. Yes, you may enroll in a Medicaid Buy-In program if your state has such a program, even if you have Medicare and/or employer-based health insurance coverage. Medicaid Buy-In programs are based on different rules and differ from the new Medicaid adult expansion group, such as if you are eligible for Medicare then you are not eligible for the adult expansion group. If you have significant health care costs, the Medicaid Buy-In program would help by providing wrap-around to your Medicare or employer coverage. 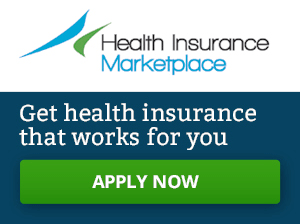 Additionally, this program may be able help you with Medicare and/or employer insurance costs. Medicaid can also cover some services and supports, such as personal assistance services, that other health insurance either does not cover at all or covers with restrictions. Q5. How much do I have to work to participate in a Medicaid Buy-In program? A. Generally Medicaid Buy-In programs do not require a minimum number of hours of work to be eligible. Individuals may work part-time or be self- employed. However, unpaid activities such as volunteer work do not count as employment. States generally require some verification of earnings and/or proof of employment. Q6. Do I have to pay a premium? A. States may require persons eligible for the Medicaid Buy-In to pay a monthly premium or other cost sharing charges typically set on a sliding fee scale based on income. Many, but not all, programs charge a state-specific premium. Several programs have co-payments higher than typical Medicaid. Q7. How do I apply for a Medicaid Buy-In program? A. You would apply for a Medicaid Buy-In program just as you would apply for any other Medicaid program in your state. See Process for Medicaid Eligibility Fact Sheet for additional information. Q8. What happens if I stop working or lose my job? A. Individuals may be concerned about what would happen to Medicaid Buy-In coverage if they lost their job or were unable to continue working. Many state Medicaid Buy-In programs, though not all, may allow participants to temporarily stay on the program following an interruption or loss of employment. The length of time that an individual can stay on the program varies by state. States also vary in their policies for granting an extension of coverage during periods of unemployment. For individuals who become ineligible for the program, states will determine if you are eligible for any other benefit category. If you enroll in a Medicaid Buy-In program, it is important that you report changes to your employment status such as loss of employment or change in earnings. How you report such changes will depend on your state. For example, you might report changes to an eligibility or case worker, or you might report changes through an online system. Q9. If you qualify for a Medicaid Buy-In program you may have other health coverage choices as well, such as a Medicaid expansion program, traditional Medicaid under a “medically frail” determination, or coverage through the Health Insurance Marketplace. You may be wondering how you can assess which program is better for you. A. You should consider a range of issues when assessing your health coverage options, including your health needs, service and benefit package differences, whether you need long-term services and supports, provider networks, costs and premiums associated with different coverage options, income and asset limits, and your employment status. You should take into account your unique needs and circumstances, and the options available to you in your state. Click here for a chart with an illustrative comparison of three health insurance options: the Medicaid Buy-In program, the Medicaid expansion program (i.e., new adult Medicaid) and qualified health plans (QHPs) purchased through a Health Insurance Marketplace. Q10. What types of resources and organizations should navigators and assisters know about that might help people with disabilities on employment issues? A. While your primary role as a navigator or assister is to help consumers obtain health insurance coverage, you might also refer individuals to resources and organizations that help people with disabilities on employment issues. This will be especially true if you are informing consumers about the Medicaid Buy-In program as most require employment as part of the eligibility criteria. There are a number of national employment services, which help both people with and without a disability. A one-stop location to find many resources is Disability.gov. The Department of Labor and American Job Centers offer a range of employment-related services and resources. American Job Centers (AJCs) are located in communities across the country. The Department of Labor and AJCs offer resources to assess career interests and transferrable skills, and provide job leads. Some states have websites which provide resource information about employment, including their state Medicaid Buy-In program. Agencies or organizations tailored to disability-specific assistance include State Vocational Rehabilitation Services (SVR), the Employer Assistance and Resource Network (EARN), and the Job Accommodation Network (JAN). The Federal government funds programs to help individuals with disabilities reenter and start employment. These programs include services from counseling and guidance to job development and placement. You can access state specific information here. EARN is tailored to employers looking to hire people with disabilities. Additionally, EARN operates the Workforce Recruitment Program, a recruitment and referral program to increase employment of people with disabilities. To access the website for EARN click here. For consumers looking for help with job accommodations or their rights as employees with a disability, the Job Accommodation Network or JAN can be found here. Lastly, most people receiving Social Security Disability Benefits (SSDB) between the ages of 18 to 64 have a Ticket to Work, which gives consumers more choices on seeking assistance with employment. The consumer can access information about Employment Networks here, which are agencies that assist Ticket Holders who want to work. In addition, SSA has contracts in all states for Work Incentive Planning and Assistance (WIPA) programs. These programs assist individuals with employment referrals and work incentives counseling to help consumers understand how work and benefits interact. The list of WIPAs can be found at the same website. Community resources are described in Fact Sheet #6, but additional resources include local Goodwill Industries and Easter Seals which offer employment and training opportunities. Individuals needing help with self-employment may want to visit the Department of Labor’s Office of Disability Employment Policy, which has resources available here. The Service Corp of Retired Executives (SCORE) is another resource. The Small Business Administration at has both online and local services here.